If Bengaluru FC (BFC) weren't pre-season favourites for their maiden Indian Super League (ISL) already, their win at home on Friday evening against FC Goa confirmed their place in the playoffs and reinforced the fact that it looks nearly impossible to look beyond them as the main contenders for this season. With each game they play in the league, they appear tactically, strategically and personnel-wise a cut above the rest of the competition. 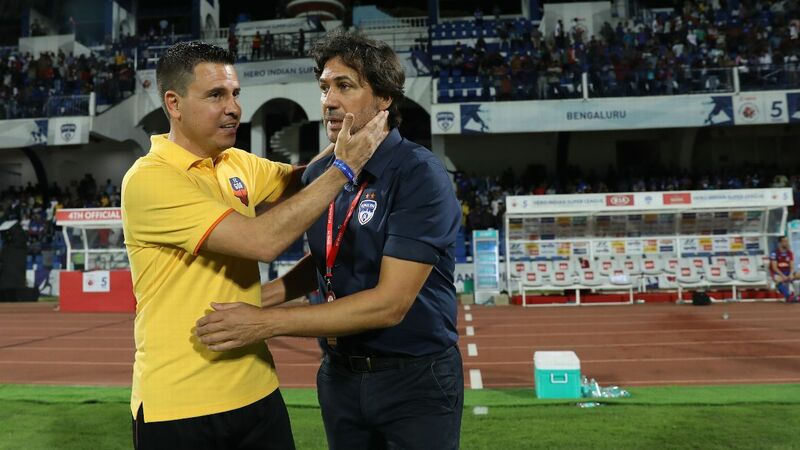 BFC coach Albert Roca, managing his eighth game across the ISL and AFC Cup in 26 days, made six changes from the team that had beaten Chennaiyin FC away. In Goa, they faced a team that had handed out one of only four defeats this season for the debutants. With Miku rested, it gave Roca the option of playing his troika of Spanish midfielders Toni Dovale, Dimas Delgado and Edu Garcia. Between them, they controlled the midfield battles against Spaniard Edu Bedia and Moroccan Ahmed Jahouh to perfection, forcing Goa to spend more time chasing the ball and relying almost entirely on counters. 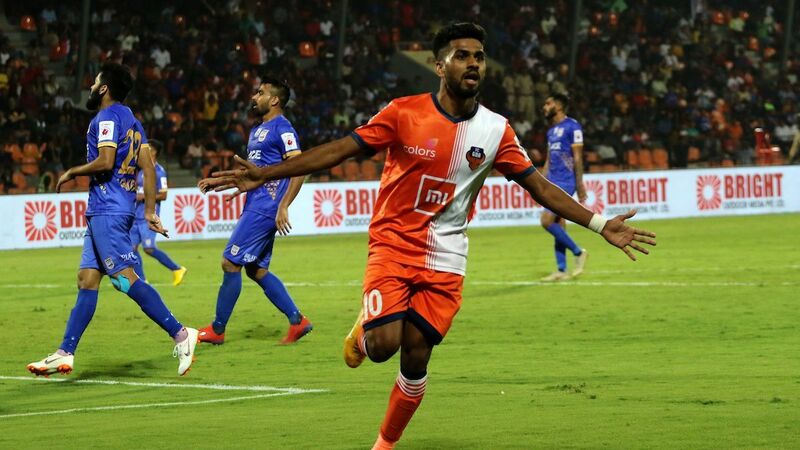 Brought in at left-back, Nishu Kumar provided the team with pace along the flanks, but his ability to track back and put out any fires in defence was just as important on the night. It is hard to compare any other team in the ISL with the depth BFC have shown. This has allowed players to stay fresh, motivated and competitive within the team dynamic. 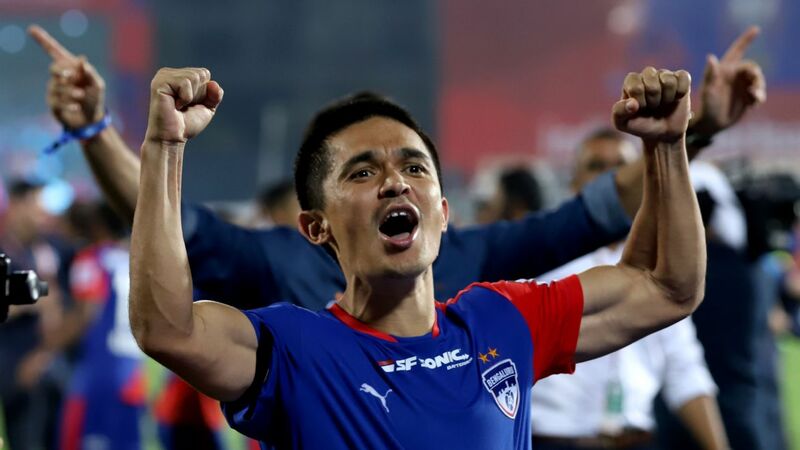 BFC's captain Chhetri would tell ESPN later that the game against Goa panned out exactly the way Roca had predicted in the team talk. "A lot of games we have watched of Goa's, people let them play and when you let them play, players like Edu Bedia, Lanzarote or Jahouh play and they make you pay. One of the things we ensured was we didn't let them play and we kept it tight, and when we had the ball we [were prepared to] expand and be brave," he said. 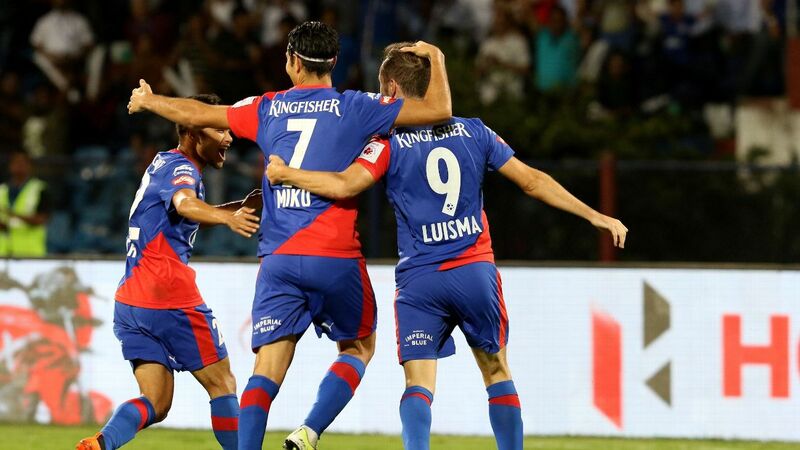 BFC dominated both halves, and scored their first through a set-piece. Delgado and Dovale stood for a corner, the former bailed out of taking the kick at the last minute to let the latter in, and Garcia was on hand to head BFC into the lead. 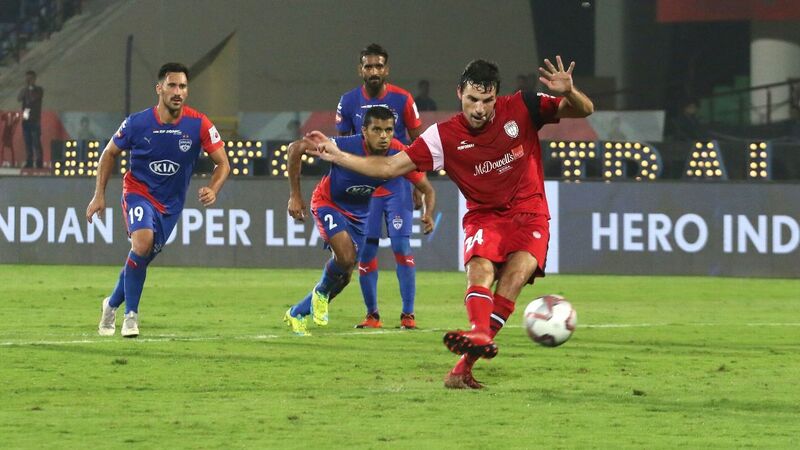 Late in the match, Garcia set off on a mazy run, which concluded with Dovale playing Delgado and he responded quicker than the Goa defenders in getting to the ball and slotting the ball calmly past Naveen Kumar. In the absence of Miku, Roca asked Dovale to occupy the no.10 position. "He [Dovale] gave us a lot of passion with the ball and calm," Delgado told ESPN. "Being in the semi-finals was the first goal when we started the pre-season." 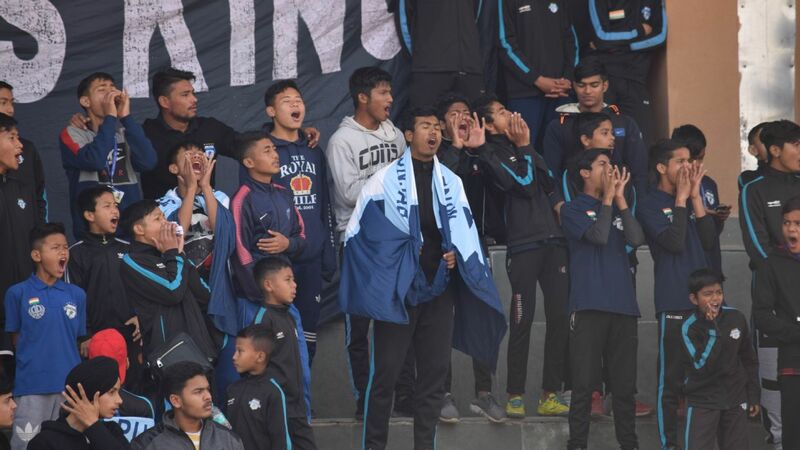 On Friday, BFC never seemed to play at full tilt, but they never needed to. They had Goa withdrawn into a shell, and played a high defensive line themselves. It was a flexing of tactical muscles that would have sent a strong message to other teams - even when they hold themselves back, BFC are better than most in the ISL. BFC are through to the playoffs and have three games in hand, including two at home. 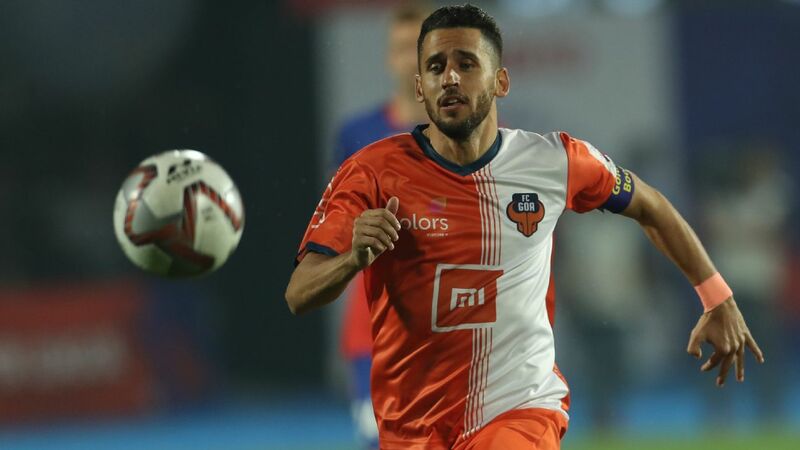 What's more, none of FC Pune City, Kerala Blasters and Jamshedpur FC are yet assured of a last-four finish and are unlikely to have the same luxury of rotating their squad. "It just sets up well, where we can juggle well between two tournaments that we are going to play now. Whoever comes in does justice to the inclusion," Chhetri said. "Qualifying with three games to go means a little more rest and more juggling with the team, but one thing is for sure, every game we play, even if it's a friendly game, we play to win it." 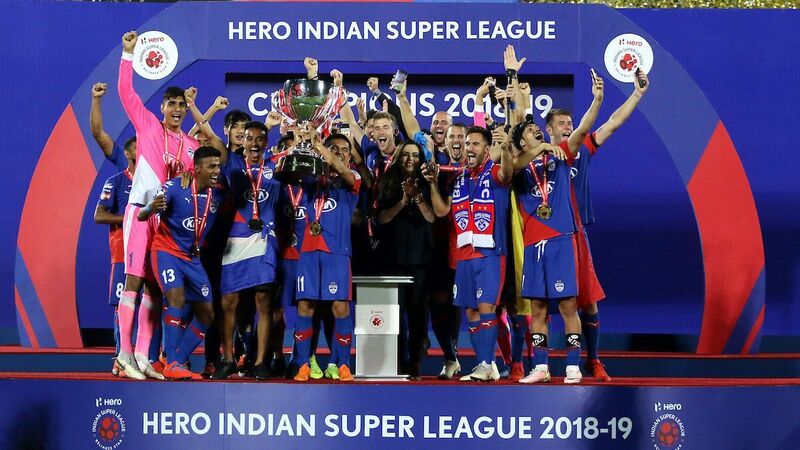 Their record this season speaks for itself - 11 wins in the league stages when the previous record was seven for FC Goa in 2015, albeit from 14 matches. BFC have also scored 30 goals in the regular season already, one more than Goa's record 29 in 2015 under Zico. Even in their four defeats, only the 2-0 away to Delhi Dynamos was a game where the opposition outplayed BFC. Within the season itself, BFC have become better at converting chances, and there's little doubt the biggest change from the 2016-17 season is the presence of a ruthless finisher like Miku. Going by recent form - five wins on the trot equals Chennaiyin's ISL record from 2015 - there will be a few more wins and records along the way.